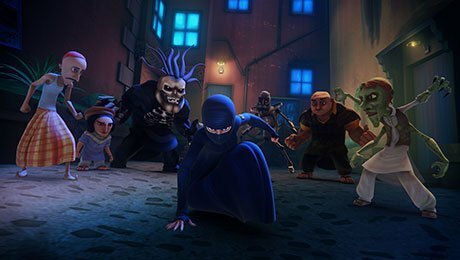 MIPTV: An Indonesian broadcaster has acquired the children’s series Burka Avenger, which follows a masked female schoolteacher who fights oppression. ANTV will air the show, which is the first 3D animated series to come from Pakistan and is made by Islamabad-based prodco Unicorn Black. It will also be the first show from Pakistan to air on ANTV, which has previously imported series from India and Turkey, when it begins airing later this month. Burka Avenger first aired in Pakistan on the Geo TV network in 2013 and quickly gained media attention worldwide for its portrayal of a schoolteacher who wears a burka to hide her identity while fighting evil. Unicorn Black founder and international pop star Aaron Haroon Rashid created the series as a way to emphasise the importance of girls’ education in Pakistan and abroad, as well as issues such as equality and discrimination. The series also airs in India on Zee TV and in Afghanistan on Tolo TV and Lemar TV, which will show the fourth season later this year.